I find it extraordinary the founders of Griffith University had the insight in the early 1970s to establish two schools that were highly innovative for their time and which remain crucially important to our future. One was concerned with the study of Asia and the other with the environment. Our founding Chancellor, Sir Theodor Bray set a vision for Griffith to teach Asian studies and to cultivate good relations with Asia; a vision that has become more central in the ‘Asian Century’. In my short time at Griffith many members of the university community have remarked that, “Asia is in Griffith’s DNA”. It is therefore symbolic that my first international alumni event will be held in Hong Kong on the evening of Friday 12 April at the Hotel ICON. Hong Kong has always occupied a special place within our international network with Griffith having developed strong links through partnership agreements with prestigious universities in the region enabling teaching, student exchanges and extensive research. We have co-authored more than 370 research publications with partners in Hong Kong over the past five years; almost 20 per cent of Griffith’s total research undertaken with colleagues in Greater China. During the April visit the University will be conferring academic awards on around 65 Hong Kong students bringing the total of Hong Kong graduations to 1,600 since 2008. 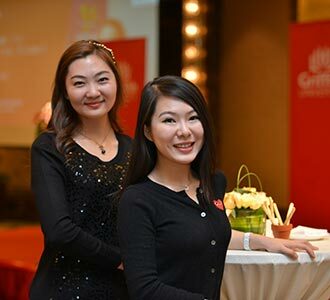 Griffith will remain strongly attached to Hong Kong into the future, aiming to enhance relationships and to support our Hong Kong alumni through our extensive alumni network of over 200,000. Also coming up in April will be the alumni reunion for the School of Education and Professional Studies on the evening of Wednesday 10 April at Griffith’s Mt Gravatt campus. This event, hosted by Mt Gravatt campus Provost, Professor Paul Mazerolle, celebrates 50 years of shaping inspiring teachers and will showcase educational milestones over the past 50 years and share insights about the future of teaching and education. As with the Canberra alumni reunion in late February, I will be taking every opportunity when meeting alumni to share my thoughts and plans for building on Griffith’s impressive and unique history. We are in the initial phase of development of a Strategic Plan through to 2025 and alumni feedback will be sought in the May edition of this newsletter, so I encourage you to participate actively in this process to create the future for our University. There are lots of ways you can stay connected to Griffith. Sign up as an alumnus and keep your details up to date, follow us on social media and find out our latest news through our magazine and monthly newsletter. Let the success stories of our alumni who are living all over the world, making a difference in their field of expertise, inspire you with each edition of our monthly e-newsletter. Also keep informed with Griffith's latest news and be notified of upcoming events and professional development activities. 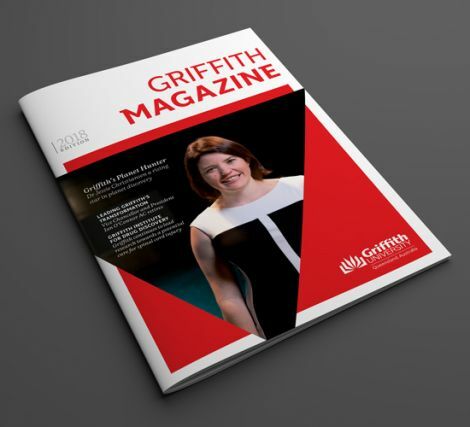 The annual Griffith Alumni and Community Magazine is another celebration of our alumni making their mark in the world. From individual and collaborative achievement to research breakthroughs, campus developments, community outreach and more, the magazine demonstrates the breadth and impact of “The Griffith Story”.